Home Premier league. Pundits Challenge United Star To Reach Gerrard's Level. Manchester United Star Paul Pogba moved to Manchester United in an £89m deal from Serie A giants Juventus in the 2016 summer transfer window. The Red Devils midfielder struggled to find consistency during his first season back at Old Trafford to attract criticism. Pogba made a blistering start to the current campaign with two goals and two assists in their opening four Premier League games. However, the 25-year-old suffered an injury setback to curtail his brilliant start to the campaign. Pogba has struggled as part of a midfield pair alongside summer signing Nemanja Matic, failing to carry out his defensive duties. Reports have suggested that Pogba wants to play in a midfield three but Jose Mourinho hasn’t always accommodated his record signing. Also Read: Martial Makes Huge Claims About Paul Pogba. Former Liverpool FC defender Carragher believes Pogba needs to learn how to influence games from any area in the pitch like Gerrard. 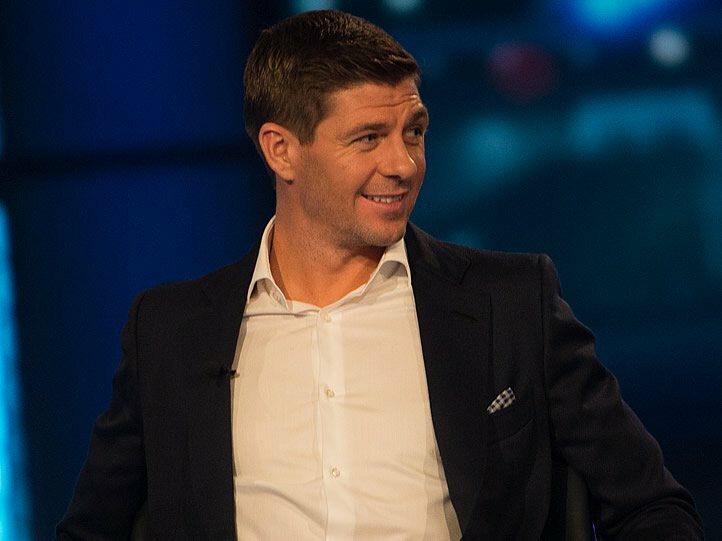 “At Liverpool, Rafa Benitez felt he had a dilemma with Steven Gerrard,” Carragher told The Telegraph. “He saw the dynamism he could offer from central midfield, but was worried about the spaces his forward bursts left in front of the defence. “Gerrard’s heroic Istanbul performance was not as a central midfielder, but as a No 10. In 2006 he was named PFA Player of the Year, having spent most of the season at right midfield. “In 2009 he was the FWA Player of the Year, having spent the season as a No 10 behind Fernando Torres. “The difference was Gerrard was world class and there were options available to Benitez. He was so influential with goals and assists it justified tweaking the system to get the most from the captain. You can build teams around players like Gerrard.